New QPR website goes live - welcome! 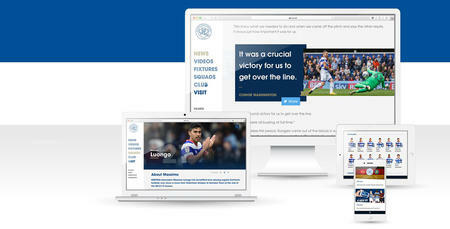 FOLLOWING 18 months of work, we are delighted to launch our new official website - www.qpr.co.uk - to supporters. After 17-years of being part of the EFL’s Digital network, today represents the first time since then that the club has had full autonomy over its online presence. Working alongside digital agencies, Aqueduct and Stadion, the new website has been designed and built with fans at the heart of the process. Following an extensive consultation period with R’s fans from across the globe, a series of focus groups with supporters were held. A dedicated feedback blog was launched to consult with a user group as the build progress proceeded also. 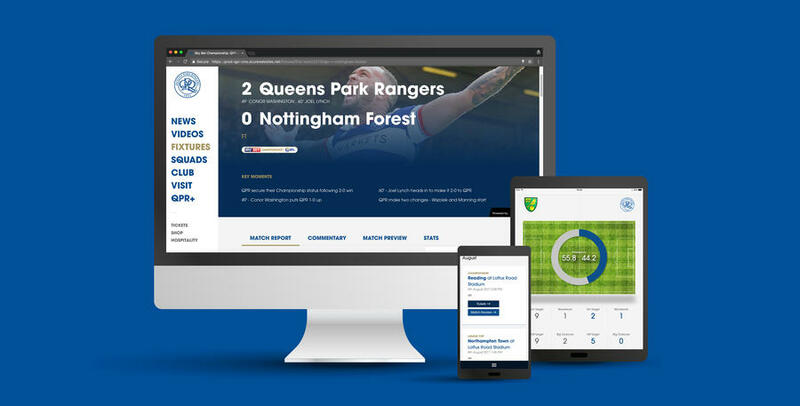 That has enabled us to go back to basics, providing a clean, simple design that will improve users’ experience, and there’s even a few design characteristics in keeping with QPR’s maverick tradition as a club. See if you can spot them! One of the biggest new features is the fact that all on demand video content is now FREE. QPR PlayerHD has been replaced and all fans can now access interviews, features, highlights and more from Loftus Road, Harlington and the Academy for FREE. 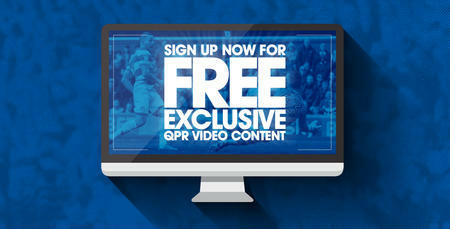 All you need to do is register for a FREE QPR Account HERE. We've also enhanced the video coverage by adding Closed Caption Subtitles to all videos by default meaning you can now enjoy our interviews with the sound off, making it easier to get your QPR fix at school, in the office or public places! Shortly we will also be launching our new QPR+ Pass service that will offer fans at home and overseas the opportunity to follow matches live like never before. Overseas supporters will be able to watch live video streams of non-televised QPR League fixtures, whilst UK & Ireland based fans can continue to enjoy audio commentary from every match. Now live, we will be rolling out our Single Sign On solution, meaning having separate login accounts for online ticketing and retail will soon be a thing of the past. The new QPR.co.uk has been built mobile-first, meaning that the user experience has been optimised for R’s fans on-the-go. That’s not to mean that desktop and tablet users have been neglected. The site is fully-responsive, meaning supporters get the same site and same experience regardless of what device they are using. If you can’t get to a match then don’t worry as there’s an enhanced online matchday experience. Our new, real-time Matchday Centre will provide all the stats, updates and live coverage of the big moments throughout the 2017/18 season. On demand video content is now FREE! That’s right, QPR PlayerHD has been replaced and all fans can now enjoy all our interviews, highlights and more for FREE. You just need to simply register for a FREE login and off you go. A new live subscription offering, QPR+ Pass, will be available shortly - ahead of the new season - offering fans at home and overseas the opportunity to follow matches like never before. Today is the first step on our new digital journey, with further improvements and enhancements to follow as we thrive on our new platform. In the meantime, while every endeavour has been made to iron out any bugs or issues ahead of launch, if you spot anything then please e-mail [email protected] and we will get it rectified as soon as possible.